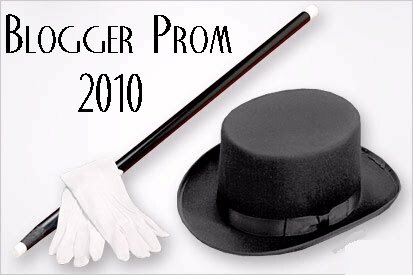 Blogger Prom: Thank You for Attending! Thank you so much for coming, mingling and having a great time up @ Yamashiro last night! We hope you had a blast at the event and the afterparty. The committee is busy tallying our donation total & taking care of post-event odds and ends, but we are definitely stoked to look at your photos and read your recap posts, so feel free to comment with a link to your blogposts, and share your pics on our flickr group page. In the meantime, enjoy your gift bags (and giveaway prizes to the lucky winners,) and give a shoutout to @YamashiroLA and @ChefBrock for being such gracious, awesome hosts. Trying to keep my twitter list updated, feel free to follow it to keep tabs on all the attendees and sponsors! Blogger Prom was fabulous. Thank you so much! You've got nice pictures during the night. It's good that I dropped by your blog especially that I am searching for prom suits. I'd also like to say congratulations to the lucky winners! Thanks for sharing this with all of us. Every girl has her most beautiful moment in the life just when you wear your own prom dresses in your wedding.You can visit our site wholesale wedding dresses.cheap wedding dresses have good quality. You can find ball gown wedding dresses,mother of the bride dresses,mermaid wedding dresses,strapless wedding dresses,plus size wedding dresses,beach wedding dresses,bridesmaid dresses,cocktail dresses,evening dressesyour dream. Get your wedding dresses in our wedding dress shop. There are some information on prom dress in our wedding dresses blog such as wedding gown shops,WholesaleWeddingDresses.ca Blog,Casual Wedding Gowns,Designer Bridal Dresses Blog,Party Formal Dresses Blog,Good Evening Dresses Blog,Bridal Dresses Blog,Wedding Dresses Styles Blog. Finally,I hope you have a happy wedding. Our Leading Man & Lady Are . . .
Our Official Photos Are In! Tonight's Leading Man & Leading Lady Finalists! The Drinks of the Night . . . The Night is Young: Our Official After Party! Giveaway Time @ Blogger Prom! Getting the Hollywood Confidential look . . .